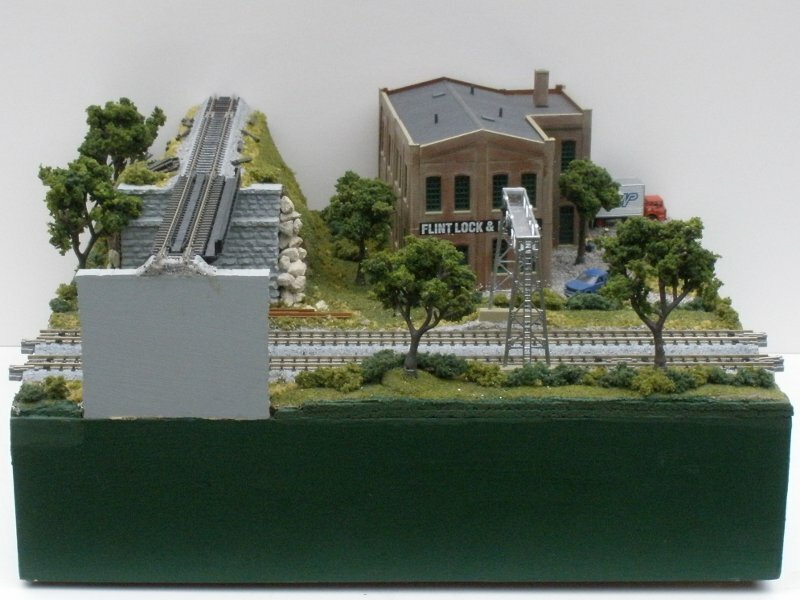 Description: Small industrial scene, with dummy elevated line. Module is 12" (305mm) deep. Full disclosure: If anyone wants to include this module in their layout, it has restricted clearance under the bridge. 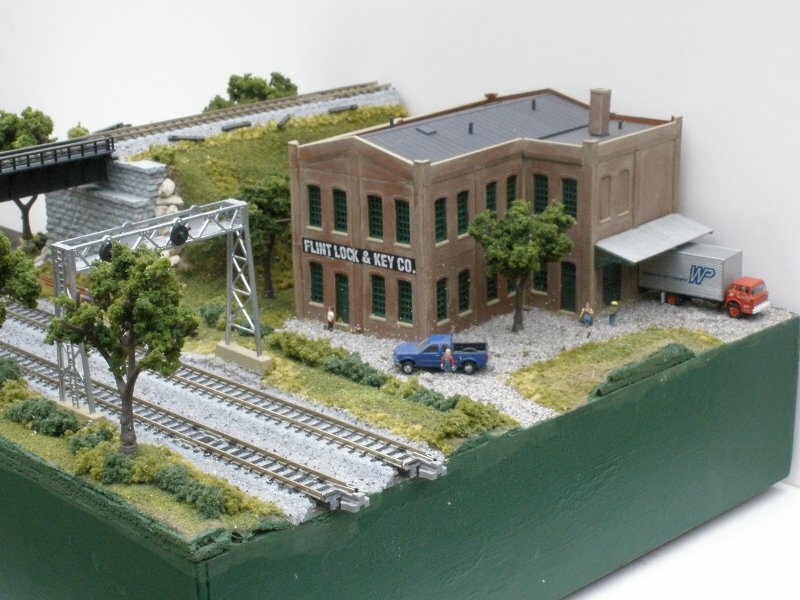 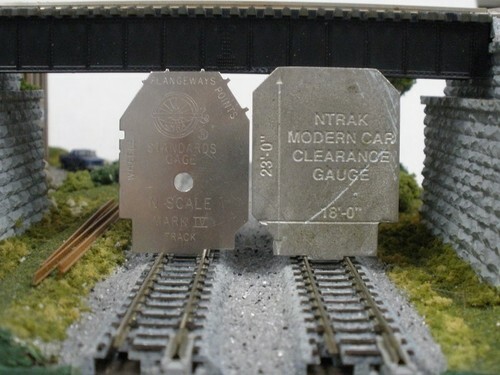 The clearance meets (or comes within a couple of scale inches of) the NMRA clearance spec, but is well short of the NTrak "modern" spec.